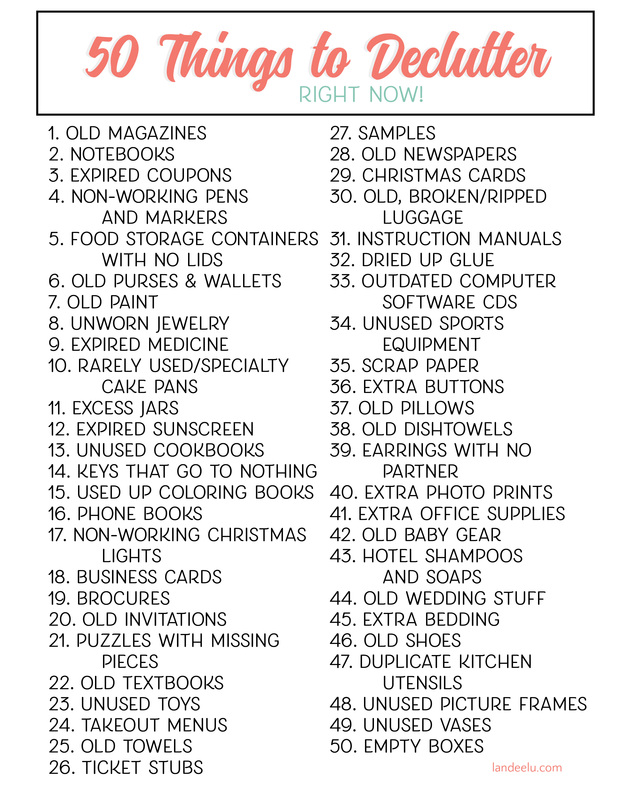 Are you trying to figure out how to declutter sentimental items? Read on to get some help. As we begin the new year many of us are feeling that itch to get our homes in tip top shape. “Organize all the things!” we cry. And while I’m a BIG fan of organizing, I’m an even bigger fan of decluttering. The less you have, the less you even need to organize. We often have way more than we need. Sentimental items pose an even bigger issue. The funny thing about that is… are my memories actually in that box? My MEMORIES? No, my memories are in me. They can’t be contained in some cardboard box. Even if that box was lost, I’d still have my memories, wouldn’t I? In reality, the things in that box might help me to remember some things. But that’s literally all they can do. And oftentimes they don’t even do a good job of doing that. I have dolls that my mom made me when I was little in those boxes. I see them and I don’t have a single memory come to mind that has to do with the dolls. I don’t remember playing with them. I don’t remember receiving them from my mom. Nothing. But yet I keep them because…. because…. ??? Sometimes when we’ve had certain items for long enough or we relied on them during a certain period of our lives, we start thinking of them as a part of us. We start looking at them as “this is me” rather than “this is mine.” And once we go there, it’s as easy to part with it as it would be easy to give up our right arm. So let’s sit back and examine our “sentimental items” for what they really are. They have no feelings or emotions. Many of them were mass produced in a factory by bored workers on a factory line. A lot of them are one of thousands out there in the world. None of them are worth more than your peace of mind and freedom. The interesting thing is that a lot of us keep things that conjure up unhappy memories. Why do we do this? We keep relics from past relationships that were unhealthy or ended badly. Or we keep items from past relationships that were fine but we are in a new relationship now. We keep items from our high school years even if we hated high school. If we really stop and think about what we are doing, this seems ludicrous! Why keep things that help us to remember less-than-awesome times in our lives? Let’s try to rid ourselves of those, ok? Present-day life can be hard enough. We don’t need reminders of past difficult times, hard relationships or unpleasant experiences. Now let’s address those things that conjure up those happy times, shall we? I don’t believe anything is “safe” and should be kept without examining it first. This includes those mementos we kept from that amazing family vacation, the broach that was our beloved grandmother’s and every.other.thing we have “for the memories.” As I said earlier, the memories are not IN THOSE THINGS. They are in us! And the things simply serve to jog the memories back to the forefront of our minds. But I ask you, how can these items even do that for us when they have been stuck in a box in the attic or basement? Or shoved under a bed or in the back of a closet? They can’t and they don’t. If these things are so loved and adored by you that you can never part with them, then why don’t you honor them as such and put them proudly on display? Then you could look at them every day and be reminded of the happiness you once felt. Just get started! Pulling your sentimental items out and beginning the process is by far the hardest part. Just get going and you’ll be on your way! Take photos of the things that help you to remember happy moments. A photo will serve the same purpose. Get rid of the item itself. For sentimental things that you could actually use– USE THEM. Inherited china, silverware, linens and jewelry come to mind. Don’t keep these things in storage for a “special occasion” or no occasion at all… get them out and use them now! How fun to remember Great Aunt Eva as you use her dishes daily! They don’t do anyone any good sitting in your storage. For sentimental items that aren’t very useful but are beautiful, pull them out and display them in some way. Maybe a shadow box or on a shelf in your living room. And if it’s not special enough to do that then consider Suggestion #1. If you have an entire box or boxes that have all been inherited from one particular person (a grandparent, for example) keep only the best things that represent them for you. Maybe pull out Grandpa’s pocket watch, one of his ties and his Bible and display them somewhere in your home. Or use them! And then get rid of the rest. Those three things would absolutely help you to remember your amazing Grandpa on a daily basis much better than keeping boxes full of his things down in your basement. Keep in mind that these things only have meaning because YOU’VE attached meaning to them. That broach belonged to your Grandma at one point in her life– it isn’t your Grandma. Those seashells from your beach vacation happen to be the 5 out of a gazillion seashells on that beach that you picked up one day– they are not the happiness and joy your family experienced on that trip. Your Grandma will always be your Grandma and you will always keep the memories of that amazing beach vacation even if your house burned down and you had nothing. Before going to such an extreme as a house fire, just let those mere representations go and cherish those memories in YOU. It’s OK to take a break if you’re feeling overwhelmed. Take a walk outside. Go in another room for a while. Get a snack. Maybe even sleep on it. Come back when you’ve had some time to process and get back in the right mindset. Remember that LESS is different than NONE. You don’t have to get rid of everything! Keep the best. Maybe have the goal of going from 6 bins down to 3. Or from 2 bins down to 1. Keep in mind that your home should be a sacred space for you and your family…. not a storage space for relics of the past. If you come across any item that creates negative feelings, sadness, anxiety or longing… let it go. And with it, let go of those feelings as well. One last point I’d like to make about how to declutter sentimental items is in regards to those things that are given to us as we “accomplish” things throughout our lives. Trophies, certificates, varsity letters, etc. These things may very well bring up feelings of happiness and joy in you when you see them. You might remember when you hit that home run to win the game and thus the little league world championship with pride. And you might love looking at your cheerleading uniform and remembering cheering at the high school football games. Or you might come across your Student of the Month certificate from 8th grade and smile. No one would blame you. However, and hear me out on this, sometimes I think that hanging on to these types of items creates in ourselves the belief that such accomplishments, such “high points” in our lives, such glories achieved are rare and are to be clung to with all our might. We feel like “those were the days” and “oh my, I really was something back then” without even realizing it. And is that a celebration of who you are today? Or of all the amazing things you are going to achieve in the future? No! It’s acting like those were the best years and it’s all downhill from here, people. I’m here to tell you that those were not the best years you’ll ever have. You didn’t peak in high school, or your 20s or your 30s or your 70s. Your best years are NOW and you need to celebrate that rather than dwelling on the past! Those items were yours. They aren’t YOU. And they for dang sure aren’t who you are today or who you will become in the future. Ok, today’s therapy session is over. 🙂 Now that you know how to declutter sentimental items, put what you’ve learned into action! If you’re just getting started on your decluttering journey, begin with easier items first (think that you know are junk but just haven’t taken the time to get rid of yet) and work your way up to sentimental items. Decluttering is a muscle that needs to be strengthened before doing the heavy lifting but I know you can do it. This post is part of my “Clear the Clutter & Breathe” email series which is a free email series dedicated to changing our mindsets on all of our stuff and things that are cluttering up our lives! If you’d like to read the entire series and have it delivered to your inbox, you can sign up here! Like this post on How to Declutter Sentimental Items? You might also be interested in these other organization ideas! My 92 year old mother and I are in the midst of decluttering the house. I have been the historical saver of the family my entire life. As you say, it s a hard and tearful process since it seems that no one else appreciates the old antique items that would have belonged to my great grand parents. This does help some and I look forward to reading the rest of your newsletters. It is so hard when you feel these things are valuable and should be cherished but others don’t. Then you feel responsible for either keeping them or spending a lot of energy finding them a “good home.” What a blessing to be going through these things WITH your mother and hear the stories! Take photos of the objects, write down the stories and that might make it easier to part with them when the time comes. Good luck to you. What a service you are doing for the rest of your family! This is such a great article and SO timely (I just got home from my Granny’s funeral). I’ve been working on getting rid of sentimental items for many years – one tip I have is to take pictures of items that are sentimental, but you don’t really want to hang on to the item itself. I’d rather have one album of pictures of sentimental items than boxes and boxes of that stuff! I have the pictures in an album and if I get around to it I’ll write a little paragraph about each item and why it was important and what it represented to me. And if I don’t get around to doing that then oh well! Raesha, I’m so sorry for your loss. I love the idea of taking photos and then keeping them all in a single album with information about the items. The perfect plan for cherishing the memories without having to store the actual items. Love it! Great tips and suggestions for new ways of thinking about “stuff” here. Thanks! Thanks so much for this series. My motivation started over the holidays when my Mom, who lives with me had a melt down about some items from my deceased Dad’s “Collection” that my brother and I thought were junk and proceeded to pitch. Her words “You don’t care about our history”. Now my Dad wasn’t a pack rat, but he liked to keep screws, pencils, small cheap locks, etc. Who knows when you might need it… right? So, they all went back on her shelves. Got me thinking about all my “collections” on my shelves (and on the floor in the storage area – YIKES!) SO… with your help, I have been purging. So far, 8 large garbage bags of trash and 6 large boxes to Goodwill. How freeing!!! More to come! Love the idea of the pictures of keepsakes, definitely doing that. Also, scanning all the old pics. WOW Jeana! 8 large garbage bags and 6 boxes out the door is amazing!! I bet you created so much SPACE and openness! Nice work! This is a great article with great tips! The thing I struggle with is saving things to pass on to or to show and share with my daughters. I am sentimental, and did enjoy when my mom kept and showed me certain things. It’s hard for me to stop. Any tips? I would say keep only the best. Having fewer sentimental items is different than having no sentimental items. A few truly special and telling things can bring joy to future generations! Choose what you keep carefully and let go of the rest. I’ve found that when something is hard to get rid of for sentimental reasons, finding someone to give it to makes de-cluttering a joy instead of a burden! For example, I had a beautiful lavender dress from when I was a bridesmaid at my best friend’s wedding. It was gorgeous, but I had never felt comfortable in it–plus, I had gained some weight since the day of her wedding. It was hard to get rid of until I thought of a friend who happened to be the right size and have beautiful blonde hair that would complement the lavender color of the dress. She was excited, and when I saw her in the dress for the first time, she looked like a fairy! I know finding the “right home” isn’t the answer for everything; it would take far too much time! However, if there’s something you feel you should get rid of that is particularly hard to part with, it can make a whole world of difference in the way you approach it. I totally agree! That definitely makes letting go a little easier. Like you said, not with EVERY item but with a few select things that you know you don’t need but are truly special I love that approach. Thanks for the comment Rachael! Thanks for the great advice! I always have this problem with all my old junk items. I always mean to throw them away, but then I start thinking how I got this thing, then I get nostalgic and then I just leave it, even though its existence in the house is completely pointless and only gathers dust. And I basically don’t even look at these items until the next decluttering time arrives, when I do the same routine. I really just need to pull my act together and get rid of them for good. I totally am with you! Items can have an emotional hold on us for sure. Maybe you just aren’t ready to let go yet. Be kind to yourself and I’m guessing you’ll figure out a way to let these items go when the time is right. Thanks for your comment Jane!